A subsidiary of Rovema GmbH, the company’s new BVC 145 TwinTube is a continuous motion unit producing up to 500 bags per minute in a footprint of only 2.85m x 1.325m. The unit produces bags up to 145mm wide and 220mm long, with options to upgrade up to 320mm. 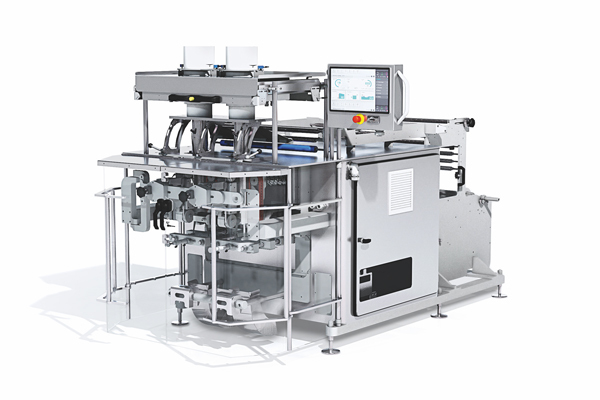 The BVC 145 TwinTube can be set up in two ways depending on production needs: with a single film roll infeed, the material is subsequently slit into two film webs capable of forming, filling and sealing 250 finished bags per minute. The machine also offers the option of packaging material infeed along two separate film rolls. In either setup, automatic edge control allows for repeatable format changeover and a very tight tolerance on the longitudinal seal. Each of the BVC 145 TwinTube’s two sides has separate film drive control, which guarantees exact bag lengths. Further sealing force can be adjusted individually on each side, allowing processing of various packaging materials with optimum seal quality. A hole punch can be added without reducing the output rate. 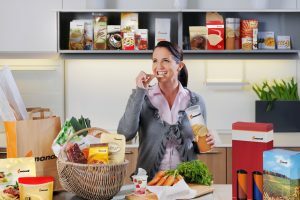 The machine is equipped with Rovema’s proven Sense & Seal technology, which detects products in the seal area to prevent poorly or incompletely sealed bags. Product detection, including defect rejection, works entirely independently on both sides; while discharging on side one, side two can continue production without constraints – this reduces the number of defective bags by 50%. The controls are fully integrated into the machine housing, and the control cabinet can be pulled out completely. Swiveling double safety doors can be fully opened for access to the machine’s working area, and the reel carrier completely opens on all sides to offer optimal access for cleaning, maintenance or adjustments. A variety of options are available, including an integrated labeler and printer, and product gassing for extended shelf life.